Bellevue Dentists at Brookside Dental of Bellevue WA named one of the eight best dentistry websites by Emergency Dentists USA. They stated that the Brookside Dental selection was based on the beautiful website itself and on the large number of Facebook Fans at this Bellevue Dental Office. This selection is an honor for the Family and Cosmetic Dentists at Brookside Dental and the announcement may be viewed at their website. Emergency Dentists stated that they picked each of their eight websites with a unique view of the dental profession. They looked at the overall design of the site, the content found on the site and the personality behind the site. Each website chosen for this top eight honor is shown with a large color thumbnail photo taken from the website along with a review as to exactly why it was chosen as one of the eight top dentistry websites. The inclusion of the Bellevue Dentists at Brookside Dental was noted as one of the top eight dentistry websites in a press release subsequent to the release of the list by Emergency Dentists website. Additionally, to see which of these eight top dentistry websites was liked the best by readers, there was a place to vote for one of these eight websites . At the time of the press release writing, Brookside Dental of Bellevue WA was in first place as the best website viewed by the readers. We have been added to their directory for Washington State Quality Emergency Dentists. This directory is the place to find a highly qualified dentist if you have a tooth ache, cracked or chipped teeth, abscess or any other type of mouth pain. The directory lists the best dentists able to deliver emergency oral care in most major cities and states throughout the USA. The directory site has considerable information regarding tooth aches and emergency dentistry access which is presented in easy to read format. Emergency Dentists USA classifies the Washington State as an above average state in oral care and stated that is absolutely fantastic for our Dentists in Bellevue. Washington actually ranks above the nation at 72.1% when you look at the percentage of people who have visited a dentist in the past year and above the national average at 69.7% when you look at people who have gotten their teeth cleaned in the past year. We are proud to be Bellevue Dentists in Washington State as well as belonging to the elite group of eight dentistry websites listed by Emergency Dentists USA. It is interesting that the Emergency Dentistry USA site chose eight dental websites for inclusion as their best, because last year our Brookside Dental Blog was chosen as one of the top eight dental blogs by Maverick Social Media. We included discussion of this in a blog article where we mention several articles that had listed the top dentistry blogs available. We are always trying to present interesting information on our blog and to keep our website updated with useful information for our patients as well as discussion of our services. Dr Cynthia Pauley and Dr Brian Cave are award winning dentists who are passionate about taking care of your overall oral health, including emergency care. 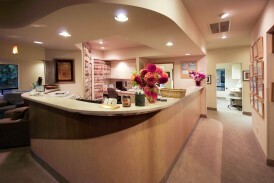 They focus on preventative dentistry and deliver excellent restorative dentistry to their patients. They also can create a beautiful smile design for you using modern cosmetic dentistry techniques. Additional information about these dentists and the services that they provide may be obtained at their website. They invite you to visit their Brookside Dental Smile Gallery to view before and after smile photos and to see the amazing changes that can be accomplished with modern dental procedures. We would also invite you to follow us on Twitter @Bellevuedentist to receive our informative information about various aspects of dentistry. We can be contacted at 425-643-2818. That’s very helpful thank you for this wonderful sharing. I really appreciate your efforts. Always good to know who are the good emergency dentists. Congratulations on being named one of the eigth best! Emergency dentists are so important, long hours but someone’s gotta do it! Thanks for the nice comment Saturday Dentist.